I don’t think that I’ve ever loved a look so much — I mean…I’m even still wearing the bag (usually I only wear bags for images, otherwise my AO just throws them around)! But is it weird that I chose the common bag over the RARE that I won? Very odd…or maybe not. Usually, I try to stay away from premade outfits, but I mean who could resist this styling by Wonton!? I’m kinda more skinny than usual, but I look cute so whatevs. The cut of the shirt aside, my favorite part about this outfit is the hair. I love faux locs irl, though as these are all pixel I’m guessing they can only be “faux”…either way they’re the bomb! I was so excited when I first saw the Zendaya-inspired locs created by Blues Hair…I knew that I needed them in my slife. I’m going to be wearing them for a long, long, long time. What would you classify this look? Boho? My sister says I’m hippie (bohemian princess -coughs-). Images taken at Small Town Cafe. 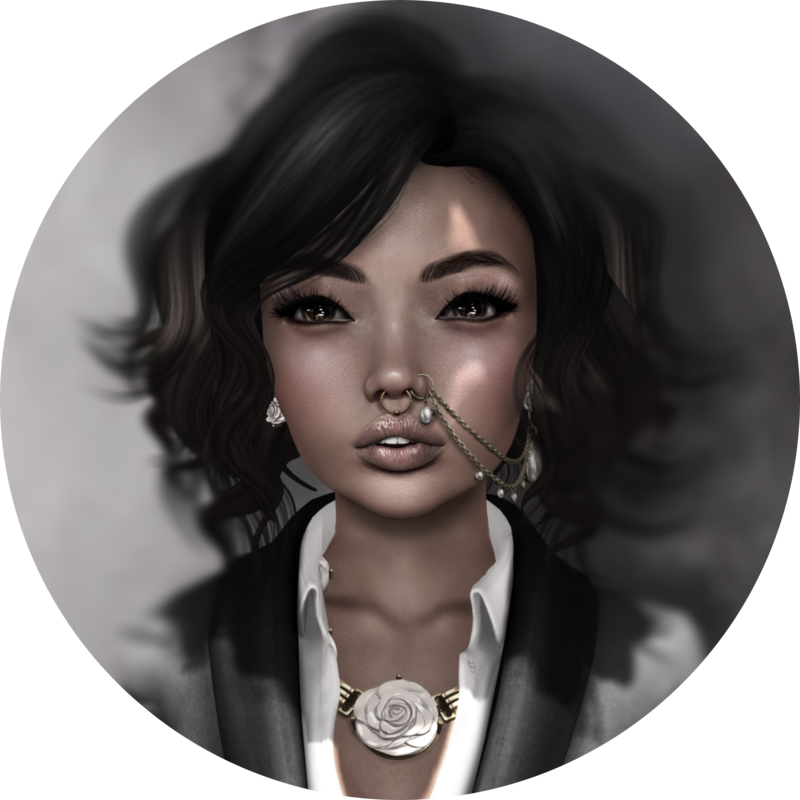 Black Fashion fair opens today, April 17, 2015 @ 1 PM SLT!